The Historical Museum partnered with Exploration Place! Exploration Place presented Guitar: The Instrument That Rocked the World, a 5000 square foot national traveling exhibit that engages and excites visitors with the chance to interact with the guitar not only from the perspective of its history, evolution and design, but also through the museum it has created and the technology that continues to enhance it. 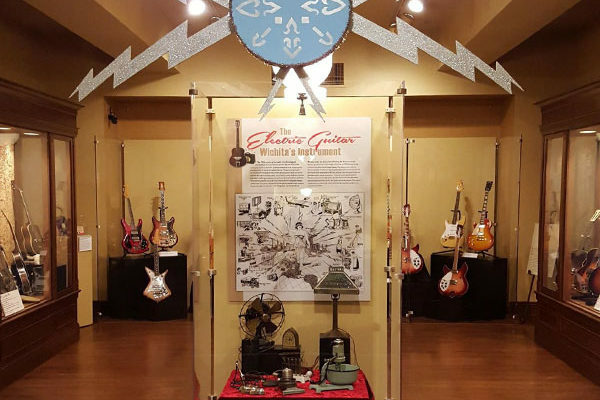 Developed by the National Guitar Museum, the exhibit offered visitors an entertaining, engaging, and hands-on experience with one of the most important cultural icons in history: the guitar. The exhibition was comprised of three elements: the science of sound; the evolution, engineering, and design of the guitar; and its cultural impact. The exhibition engaged visitors in a visual, tactile, and aural experience.